Valves are elliptic-lanceolate and not or slightly dorsiventral. Apices are subcapitate. The axial area is narrow and a central area is lacking. 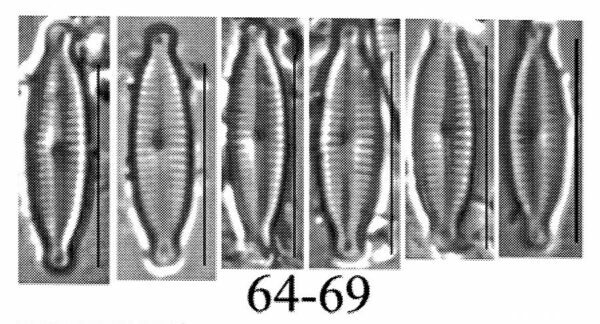 The raphe is filiform. Proximal raphe ends are not expanded and deflected dorsally. Distal raphe fissures are hooked toward the ventral margin. Striae are parallel to weakly radiate, somewhat more prominent and more widely spaced near the valve center. 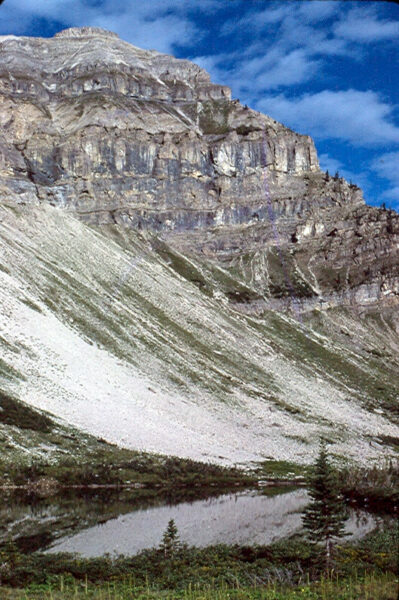 Encyonopsis lacusalpini is known only from Upper Trilobite Lake, a small alpine lake on the Continental Divide in the heart of the Bob Marshall Wilderness of Montana (photo below). Water quality data are not available. Upper Trilobite Lake, Bob Marshall Wilderness, Montana: type locality of Encyonopsis lacusalpini. Valves elliptic-lanceolate, not or slightly dorsiventral. Apices subcapitate. Valve length 11.3–12.6 µm; valve width 3.0–3.4 µm. Axial area narrow. Central area lacking. Raphe filiform. Proximal raphe ends not expanded, deflected dorsally. Distal raphe fissures hooked toward the ventral margin. 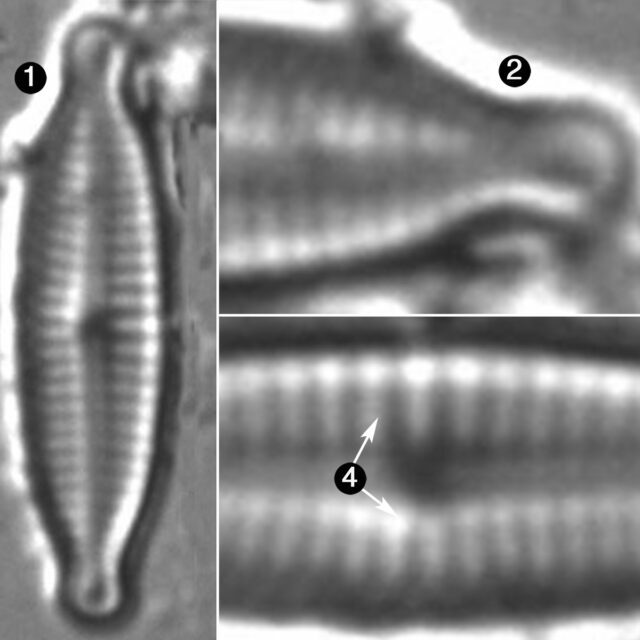 Striae parallel to weakly radiate, somewhat more widely spaced near the valve center, 26–29 in 10 µm. Valves are elliptic-lanceolate, less than 20 µm long with subcapitate apices. Striae number 26-29 in 10 µm. Central striae are more prominent and more widely spaced than striae near the ends.